There are two versions of this light, differing in UI. What I’m reviewing here is the original UI. It’s my understanding that it’s possible to differentiate between the UI’s by the box color. Original UI is in a green box, and the new UI has a red box. 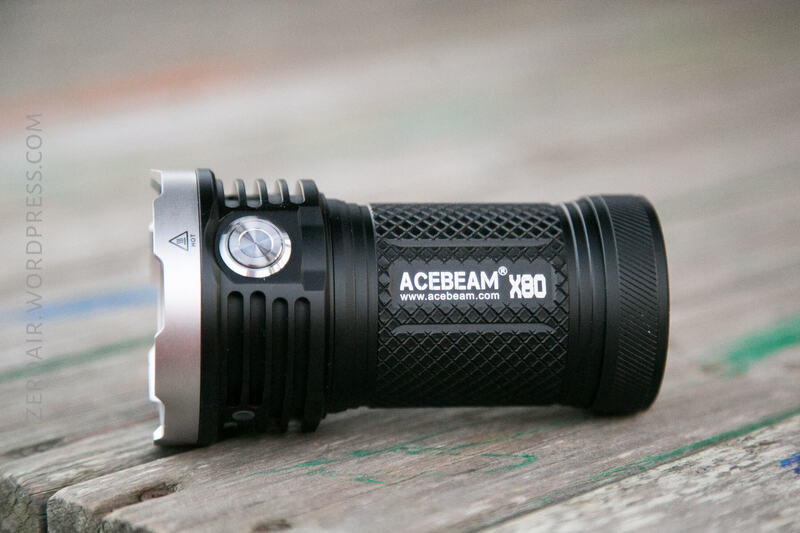 List price for the X80 is $299, but at BestLight.io, the X80 is $273. I like this light a lot but the UI doesn’t seem ideal. In fact the UI isn’t bad, I just wish for 2 things: UV was harder to get to (or easier to avoid) and there was a police mode in the original UI. 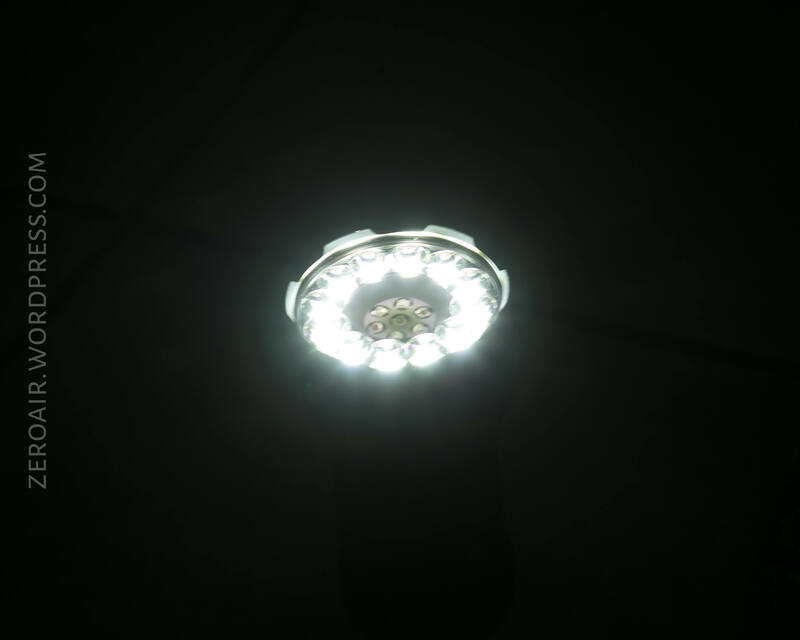 But performance and output of this light is great! My model included 4 Acebeam cells, and BestLight.io includes these cells at $273, but I’m not sure if all x80 packages include cells. Sorry, yet again I forgot to photo the cells in this shot. The X80 ships in a hard cardboard box which flips open from the right side, and has a magnetic closure. The box is very nicely printed, and the back has a good amount of specs and features, and even a description of the UI. The contents are held in place in open cell foam. The manual is a great size and shape, and is very brief. There’s very few graphics inside, and graphics are often what separate a good manual from a great one. This one is passable, however, and does give the required information. The manual is in English only. 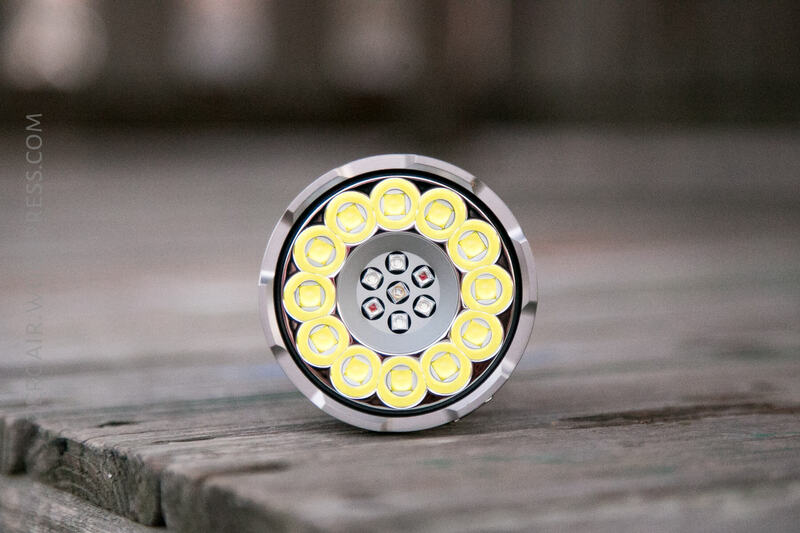 The X80, loaded with cells, is a hefty, chunky little light. It’s very solid. With a solid bump, the cells might rattle a little, but otherwise it’s very stable. The head has some very thick cooling fins, which are about as deep as they can be. The tailcap has some slanted reeding which helps remove the tailcap, to remove the cell holder. 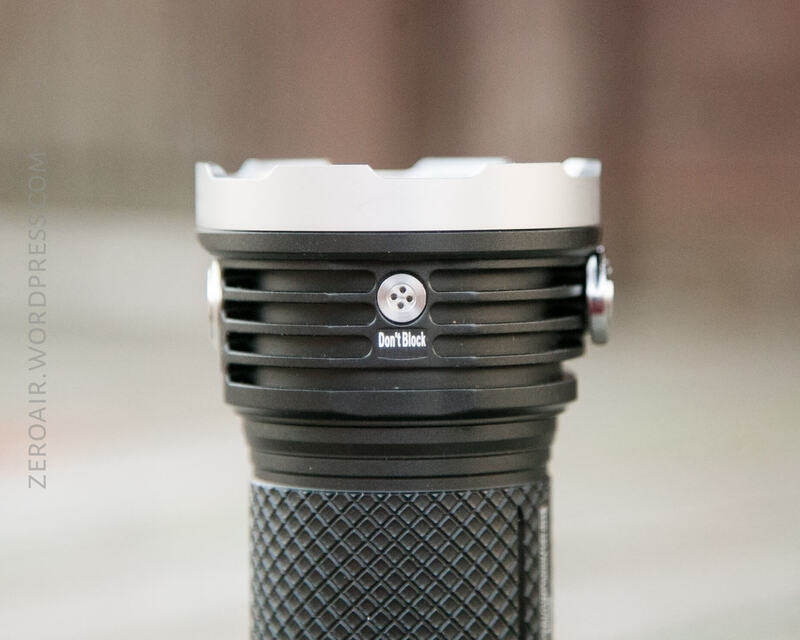 And one of my favorite features is the knurling – very large diamond pattern, and flat. This provides adequate grip, but isn’t grippy. It feels more just like a texture than actual grip. Here you can finally see the Acebeam cells. They’re quite long, and even in the holder for this light, they’re a hard fit. The driver has a thick brass spring, and the other contact is made in the head, directly to the outskirts of the battery holder. The threads on my sample are extremely smooth. They’re very lightly lubed. The cell tube is not the same on both ends, and isn’t reversible. (One end has a slightly longer lip than the other.) The tailcap is featureless, and I believe not involved in electrical connectivity of the light. So the whole tailcap is anodized, as is the lip connecting to the body. But the cell holder isn’t directional; the light will work with the holder in either direction. Officially 117.7mm x 65mm (head) x 49mm (tube). This is a fairly small can light. Not as short as a Meteor, but with a smaller (and “less mass”) head. Here it’s compared directly with the M43. 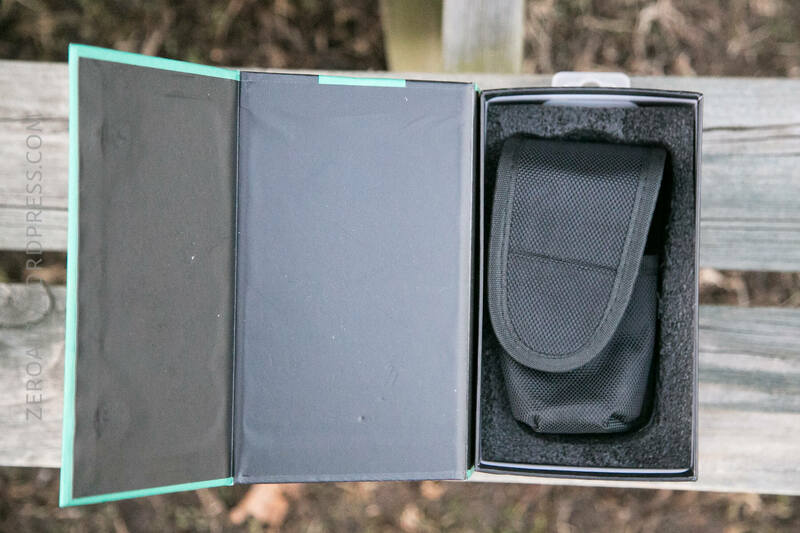 The primary means for transporting this light will likely be this bezel-up nylon pouch. The pouch is nice, and has the usual d-ring, and an on-the-fly belt attachment loop. Also included is this threaded ring, to which may be attached the included lanyard. This bit also unscrews, revealing a standard 1/4″ threaded tripod mount. 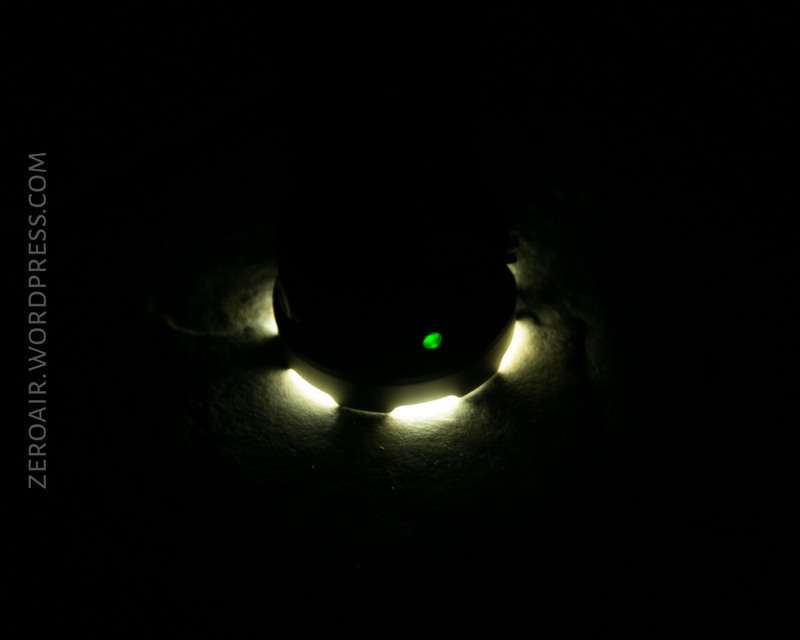 The balance point of the light is much farther down, but this still holds the light very securely. 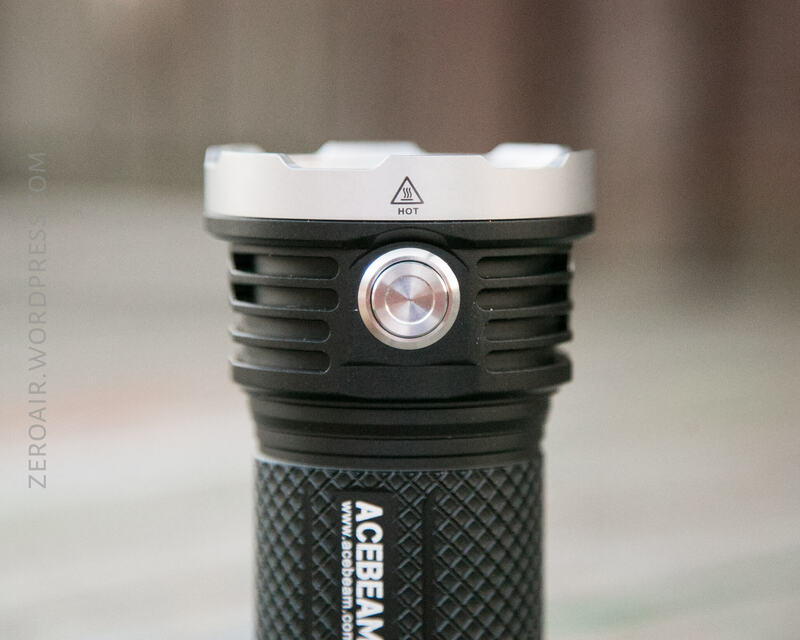 As stated above, the light ships with four Acebeam 18650 cells. Four cells are required to run the light, too, as the driver wants to bask in the joy of >14V. These are protected cells, though the light does not require them. They’re also button tops and again, the light doesn’t require button tops. The manual says that might be a better idea, however. And in my experience, I’m inclined to agree. 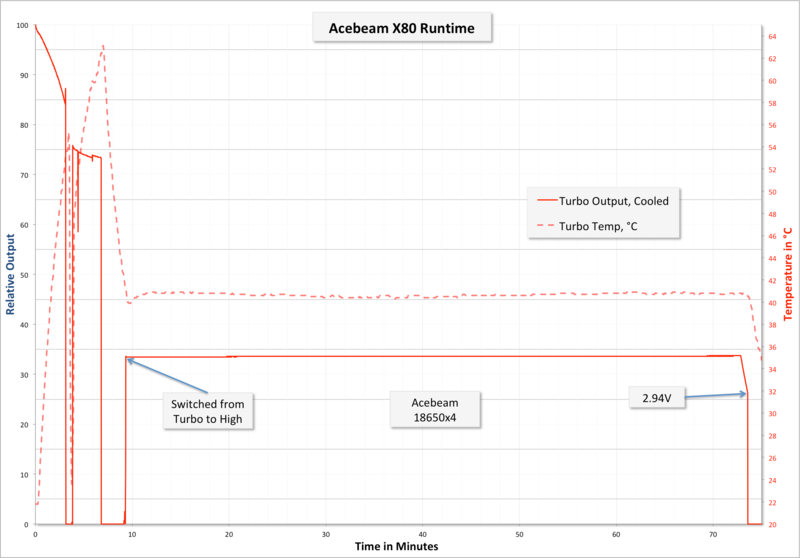 I performed a runtime on Turbo, and … after a few minutes I started smelling smoke. The light being output was so intense that my runtime setup was being burned. The light itself (where I was measuring temperature) was also well past 60 degrees. So I scratched that, and bumped down to High, where I finished the runtime test. This runtime should suffice to show a few things, even if it’s not ideal. 1, the light really tries to output turbo as long as it can. 2, it can get very hot. And 3, on high, it’s very stable and runs for a long time. The light shuts off (LVP) and the cells tested at 2.94V, which is good enough. There’s a non-switch indicator on the side of the head. If it’s green, the holder voltage is >14V. Orange means 13-14V, and red means <13V. There’s a single switch on the X80. It’s a side, metal, e-switch. It’s really a good clicky button. Quiet, but with a positive click and low action. It’s easy to double click, too. Here’s a UI table! And remember, this is the original UI! * Turbo Max is a slow double click. After the first click the light will turn off just briefly, then the next click it’ll turn back on to Turbo Max. It’s not intuitive at all. That UI is really fairly simple. But there’s a LOT of UV in there, and really the lack of ability to strobe red and blue just seems like a bad oversight. The manual says that when in TURBO, I should be able to double click for TURBO MAX. This was not the case for me. When in Turbo, double clicking again turned the light off. I should be able to double click between Turbo and Turbo Max. I reached out to Acebeam, and after an initial conversation, didn’t hear from them again. My cells were charged, and Acebeam branded, so I’m not sure what the issue was. I also tried some unprotected cells (30q), and they also didn’t produce Turbo Max. Apologies, I couldn’t sort out how to measure the amps on the tailcap of this light. Oh the emitters!! 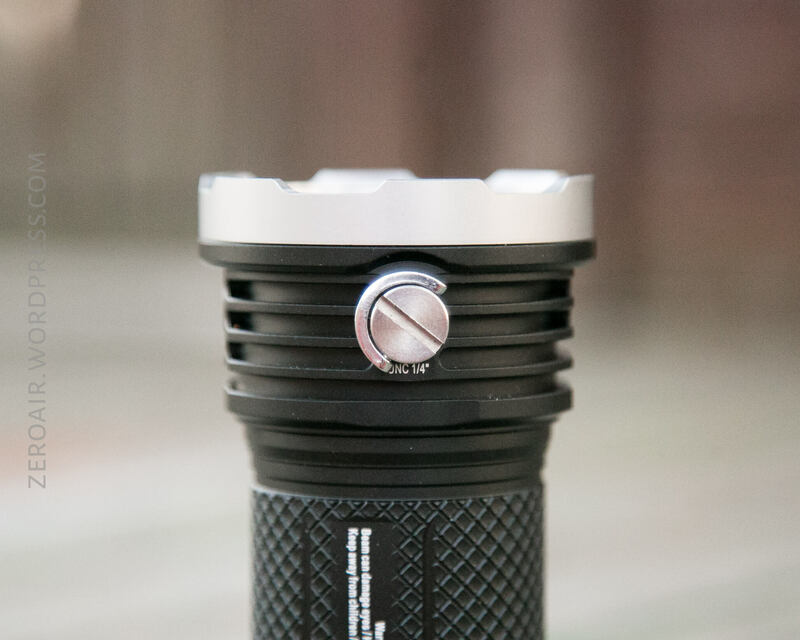 First and foremost there are 12 Cree XHP50.2, in 6500K tint in this light. Then there are two blue emitters (475nm), two red emitters (Cree XPE2-R2), two green emitters (530nm), and one UV (365nm Nichia). Every group acts as one – all 12 XHP50.2’s are on at once with no exceptions, etc. 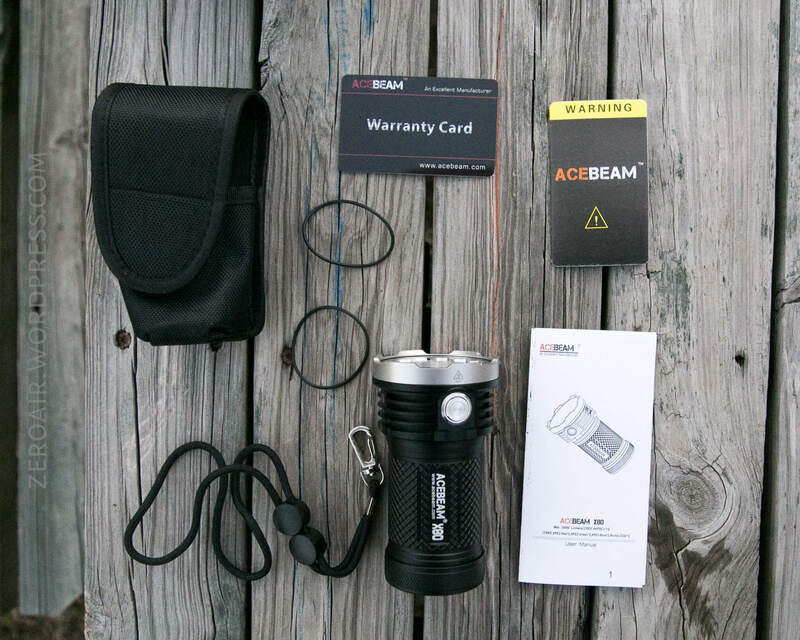 The box says the Nichia UV is the 233A, and the product listing says it’s the 276A. Either way it’s 365nm. Every output is just a wall of flood. 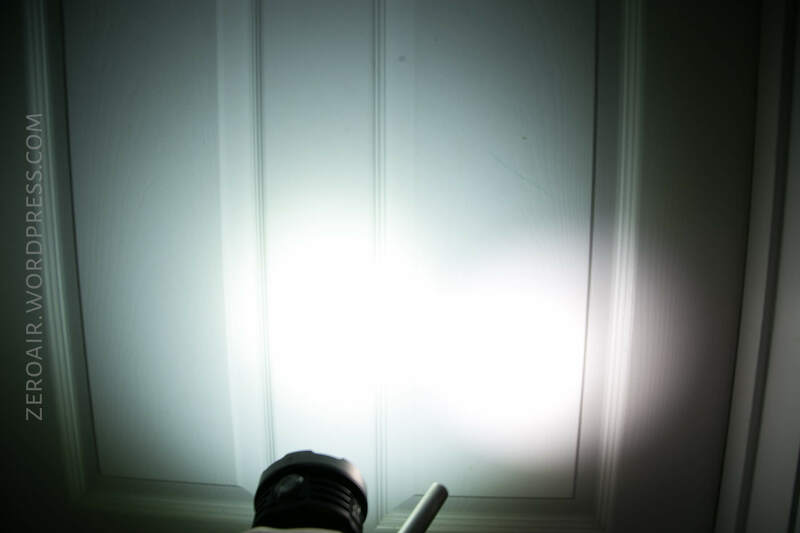 Just completely flood of [four options of] light. The UV might not seem like it, but it’s really, really bright. And the flood nature of it means you might see it more directly than you intend to. Just be careful! The RGB output is really bright. Turbo Max is just ridiculously bright. The light is just pretty and impressive. I love the emitter array. 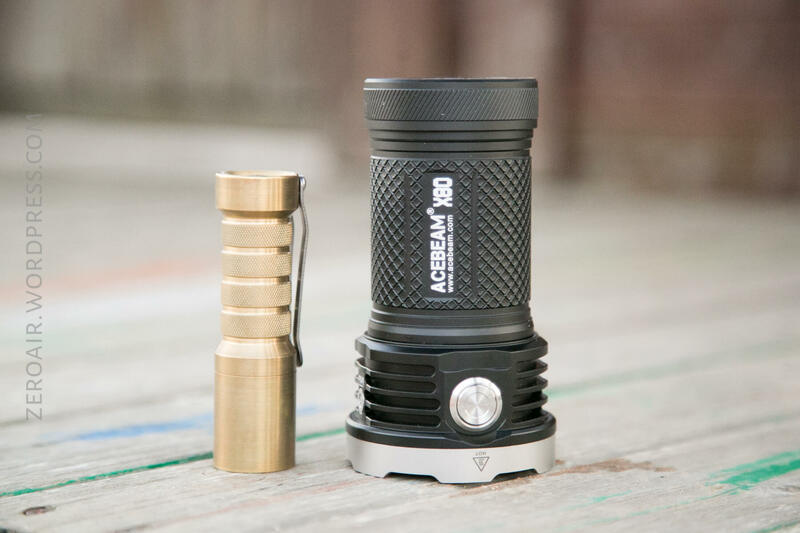 I plan to kick out another Acebeam this week – the UC15. Another light with UV! Wonder if that UV is easier to avoid…. we shall see….